It All Started with Flubber: Pump(kin)ed for a Fun Fall! 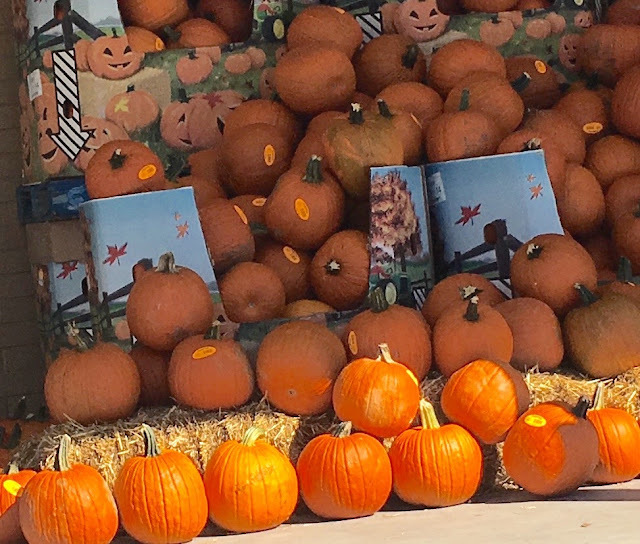 Pump(kin)ed for a Fun Fall! Are you pumped for fall? We LOVE fall - with its crisp mornings, the way a handful of leaves smell, pulling out jackets and boots, nights around the fire pit, and the way our students have settled into the routine of school....and, all things PUMPKIN - pumpkin rolls, pumpkin spice lattes, pumpkin carving, pumpkin activities! 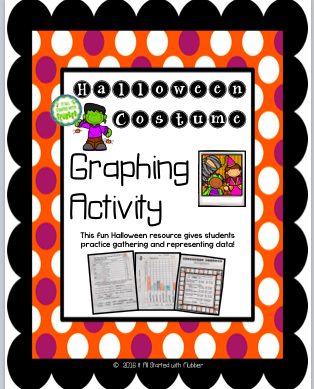 Here are three ideas and/or new resources that are perfect for engaging your learners in fun fall activities! First up, how fun are these cool witchy finger pointers from Target!?? Any kid will be excited to find text evidence or even just follow along with these! We used these during fluency reads to get kids to self-monitor slowing down for punctuation marks. Our kids generally work with a partner for daily fluency reading, so it was easy for the reader to tap his or her finger on the punctuation mark while the partner give a soft witchy cackle! By the end of the fluency session, we were all cracking up! Next up is a year-long writing program with these monthly writing prompts! You and I both know that scheduling time for writing is so important. Writing is sadly often the "one thing" we tend to let go when things get busy. Scheduling a short session for writing each day will help your young writers grow and develop and blossom! Daily writing gives your kids a chance to build the stamina to write for longer periods of time, and it exposes them to many different types of prompts and types of writing. Daily writing is also is the premier way to assess whether they can apply the skills you are working on in English. Want to know if they understand possessives? Have them highlight places in their writing where they've used some. Do you need to double check that they have indeed mastered subject and predicate? Have students color code their writing to show subjects and predicates - or do this with verb tenses, or common and proper nouns...you'll find that daily writing lends itself to so many impromptu assessment opportunities. And the best part (IMHO) is that these are authentic assessments rather than another worksheet. After all, the bottom line is that we want them to be able to apply these skills in their writing, right? This resource gives you daily writing from August (ok, admittedly it's well past that now, isn't it?) through May! Be sure to look at the fun prompts for October! Please leave us a quick comment to let us know what your favorite FALL activity or resource is!! 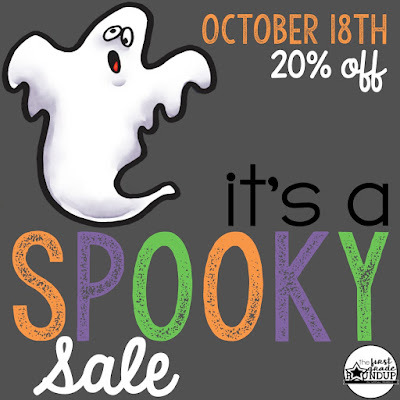 Speaking of great resources - here is a little LINKY we're part of with some great teacher-authors having a SPOOKY SALE on Oct. 18th only! 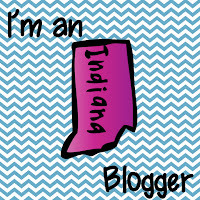 Buzz on over to our friend Whitney's blog at First Grade Roundup to check out all of the bargains!